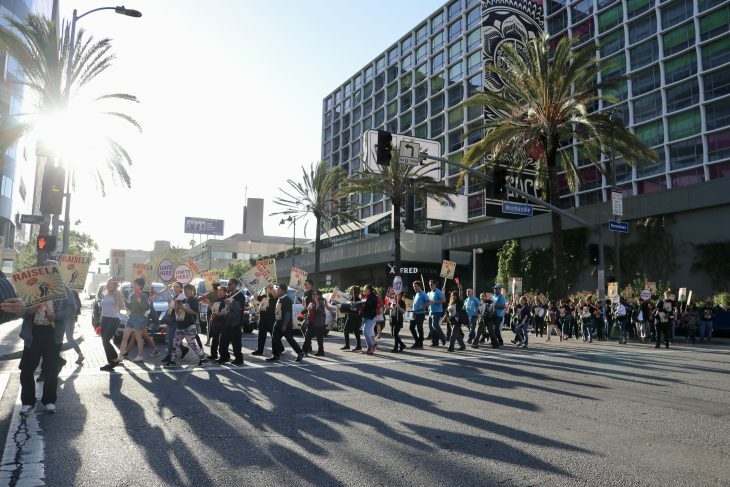 During rush hour Tuesday, more than 200 protestors with drums, pots, pans and picket signs streamed through the intersection of Normandie and Wilshire in Koreatown to bring awareness to the unresolved contract talks at The LINE Hotel. Workers at the boutique hotspot have been without a contract for four months and remain ready to strike if the company fails to advance negotiations. Workers are asking for safer working conditions, livable wages, and secure healthcare benefits. More than 5,000 workers at twenty-three SoCal hotels have already settled their contracts, winning $25 an hour by the end of the contract , safer workloads, and dignified retirement. Hundreds of them, along with clergy and people of faith affiliated with CLUE, community allies, and members of the American Federation of Musicians Local 47 joined in the protest. Last December, workers from the LINE Hotel and dozens more prominent southland hotels voted 96% to authorize a strike if necessary. 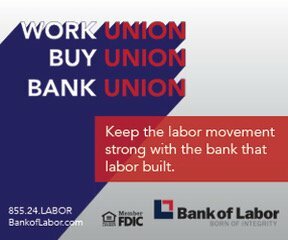 Workers at icons like the JW Marriott, Beverly Wilshire, Beverly Hilton, and Westin Bonaventure have all averted strikes by reaching agreements with their employers. “My coworkers and I voted to go on strike at the same time as workers at the LINE Hotel did. At the Bonaventure, we won an historic contract since then, with $25 an hour by the end of the contract, panic buttons, a dignified retirement, and affordable health insurance. Now, we are here supporting LINE workers because none of us is done until all of us have won,” said Vicky Beza, a front desk agent at the Westin Bonaventure for 7 years.